MED-Fibers' surgical laser fibers deliver strong laser energy in a wide wavelength range. Our surgical fibers are available in broad diameter ranges from 150 to 1000μm fiber core diameter. Our surgical fibers are cleared under the 510K and meet the requirements of FDA’s GMP. Customer-optimized designs are possible on request. Order a sample medical fiber or contact us for more information. Below is a list of our standard surgical fiber products- customized surgical fiber products or additional tip designs are on special request. We also offer custom surgical laser fiber product labeling. MED-FIBERS' NEWEST SURGICAL FIBER TECHNOLOGICAL INNOVATIONS . CERTIFICATIONS: FDA 510(K): K 124003 - ISO 13485 - CE MARKING . 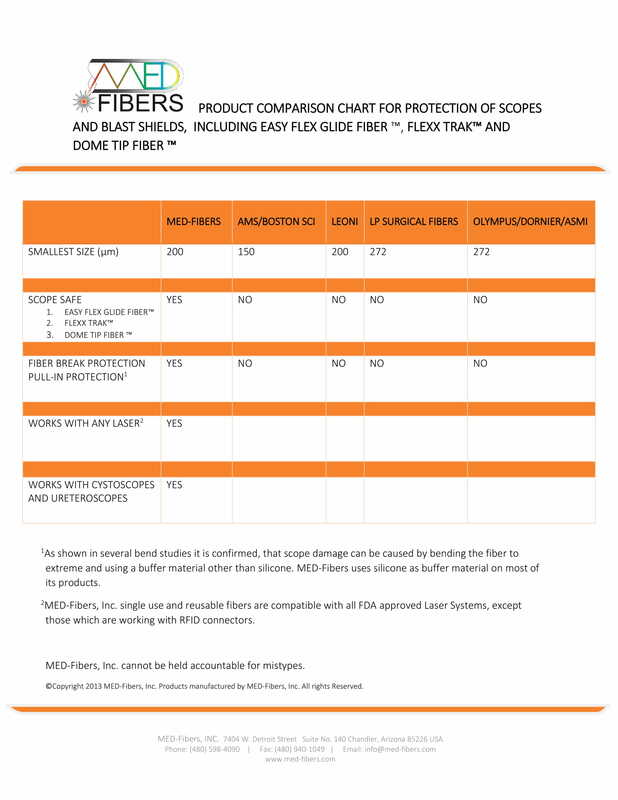 When you buy surgical fibers from MED-Fibers you’ll save on cost while increasing the quality of your laser fibers. Fill out the order medical laser fibers form, tell us what type of laser you have, as well as what procedure you're performing, and we’ll send you a quote, it's that simple.